Last year, Reid declared the war in Iraq lost, even as the troop surge began to show impressive signs toward ultimate victory. Today, he made his statement shortly after winds died down in New Orleans, and after the Army Corps of Engineers reported that the levees appeared to hold. Reid’s comments were immediately echoed by House Speaker Nancy Pelosi (D-CA). 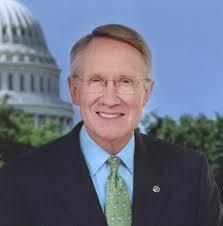 dangerous and too hard to learn,” Reid said of bicycle riding.